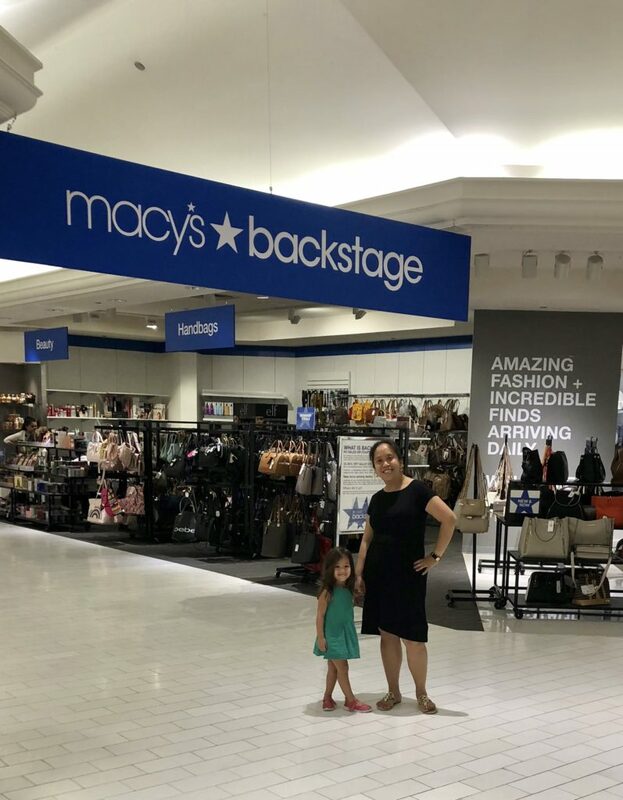 Last weekend, my family and I found ourselves at another Macy’s Backstage looking for goodies and treasures! This time we were checking out the Springfield, VA location at Springfield Town Center. Macy’s Backstage is Macy’s outlet store that offers fashion-loving customers another way to shop at Macy’s stores by providing a store-within-store shopping experience featuring significant savings on fabulous and frugal finds. 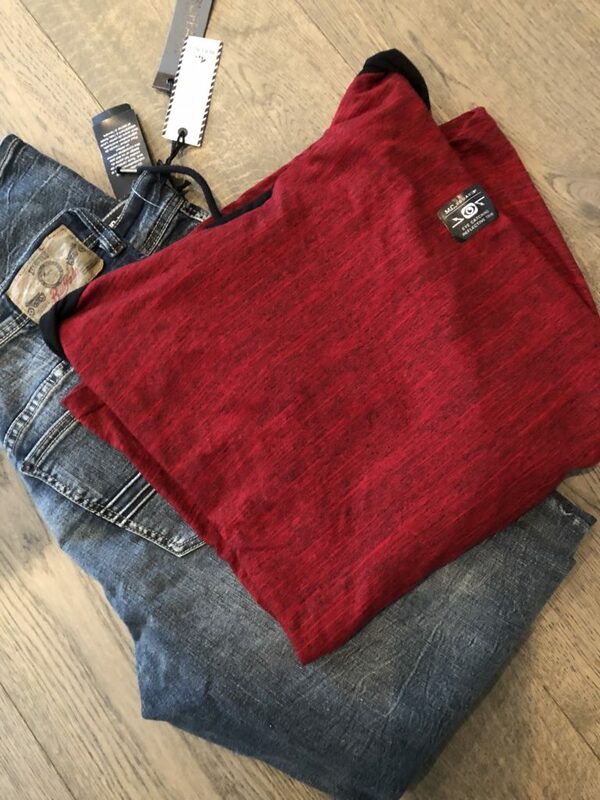 Similar to a HomeGoods or TJ Maxx, Macy’s Backstage, offers all kind of items ranging from clothes, to trinkets, to seasonal decor and goods, to purses, to gourmet food options, and more at low prices. The catch is, a shopper has to sift through items to find their buried treasure. But that is part of the fun right?! 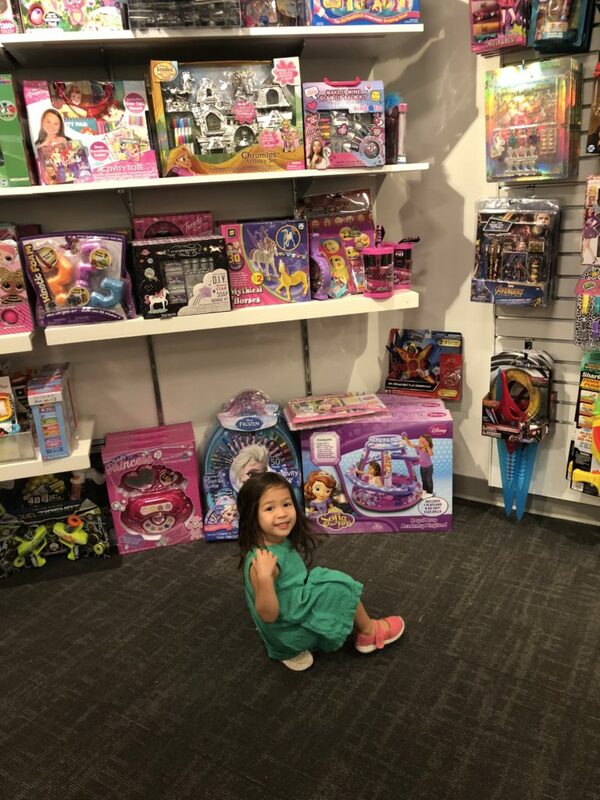 Do we spy a future shopper and blogger perhaps in this photo?! 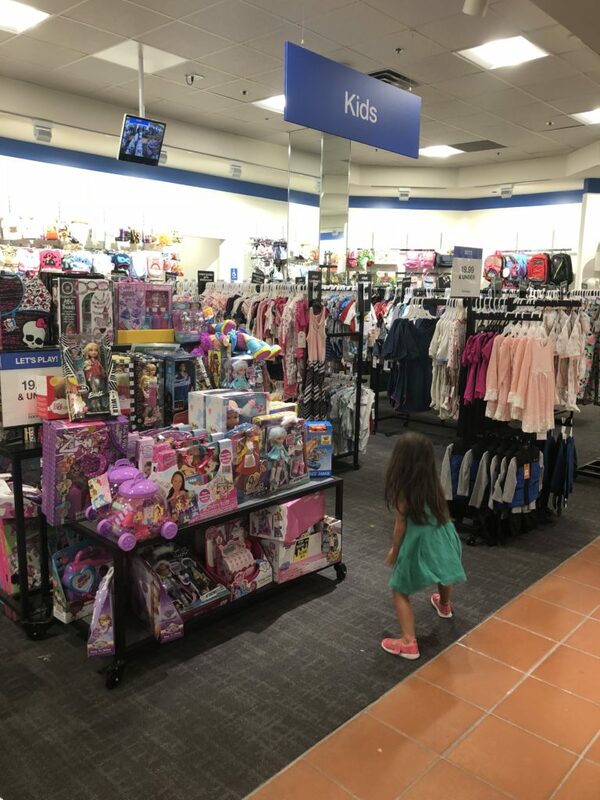 The first place we found ourselves was, of course, the Kids/Toy section – with Ava leading the charge. In addition to Ava picking out a toy (a Doc McStuffins boom box), I got a lot of her friends Christmas presents out of the way on this trip. SCORE! 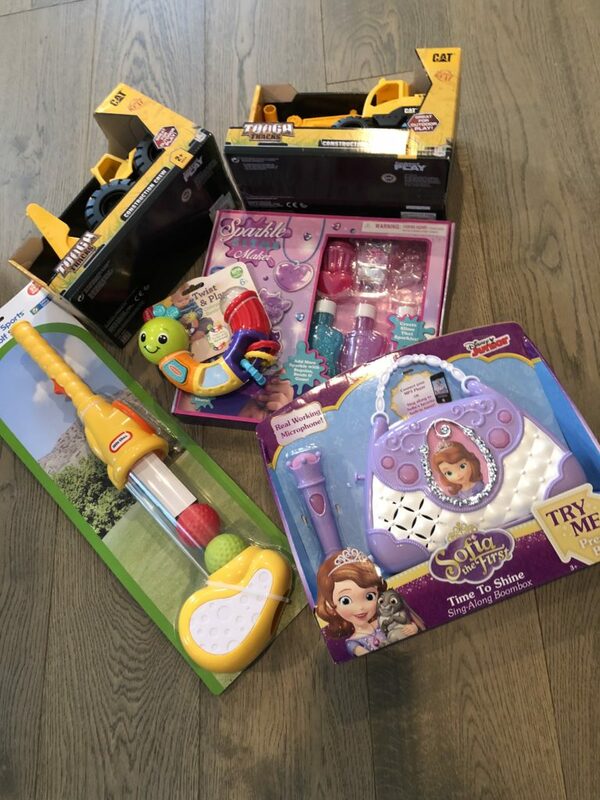 The second item Ava selected was a toy for her baby brother, Luke. Such a good big sister! We also picked up some lounge clothes for Tommy (pictured below) and Luke (not pictured). 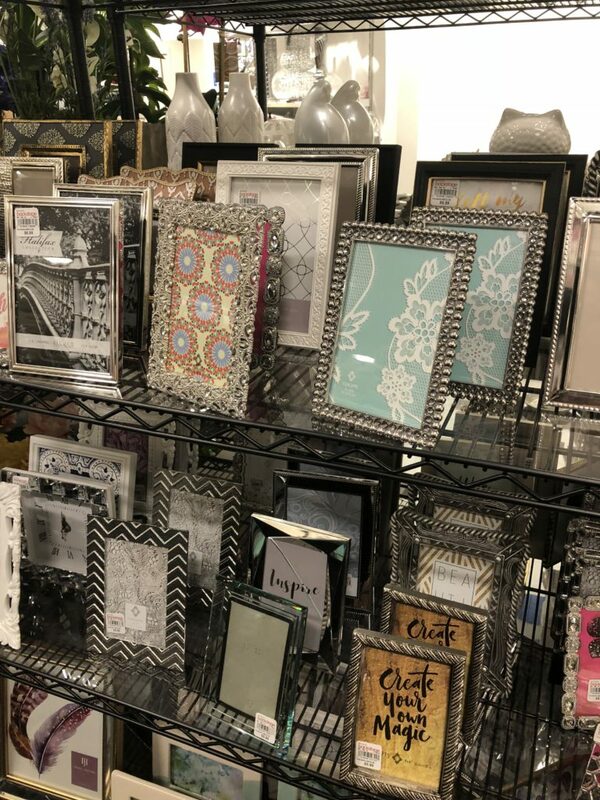 I also enjoyed walking through the fall decor and frame aisles. I found several frames that I needed for frame-worthy photos to display around our house from Luke’s newborn photo session we did when he was 1-week-old. 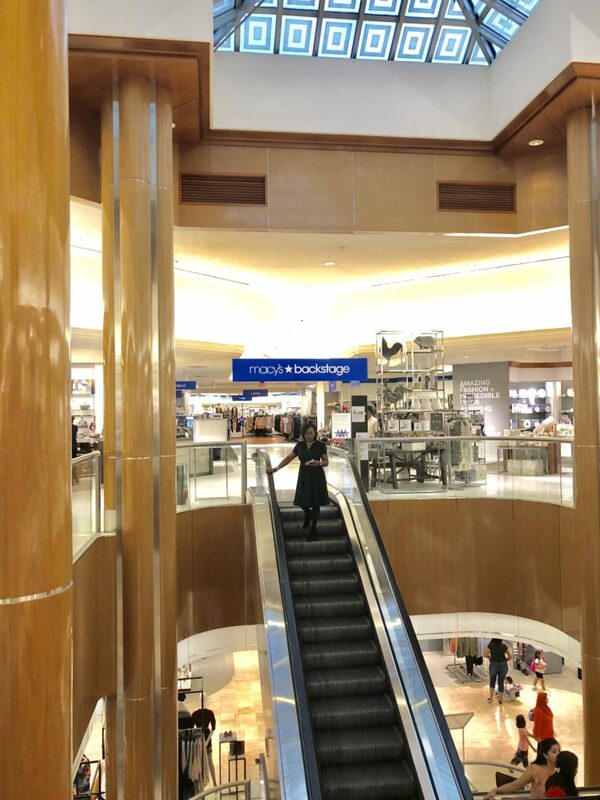 I must admit, I wasn’t sure what kind of “shopping experience” to expect bringing the hubby and two kids in tow with me, but it was surprisingly a leisurely-ish time. I was able to walk-around the “store” several times and found several deals and steals that I love and that I know others will love. I mentioned this in my Instagram Stories last weekend, but I did note that this Macy’s Backstage was a bit smaller than the Fair Oaks Mall location we went to several months ago. 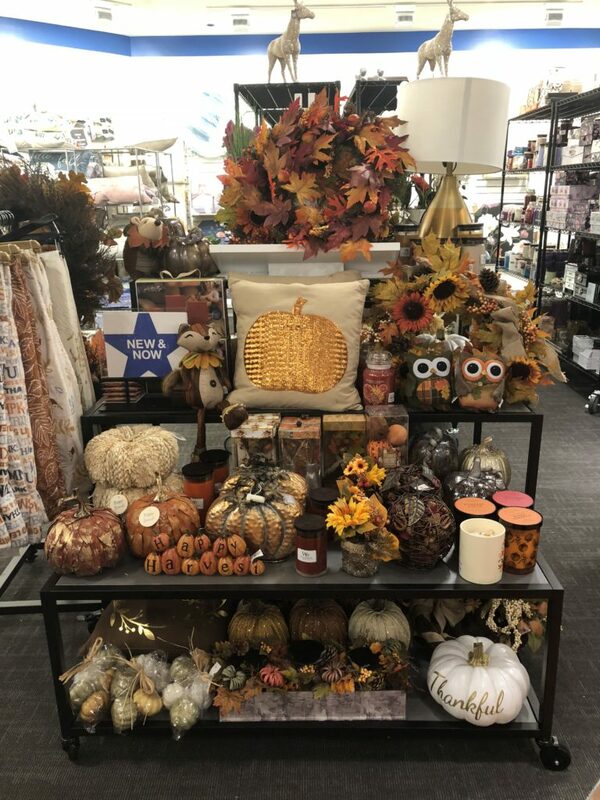 I would like to go back to Macy’s Backstage to see what else I can find in terms of Fall/Winter decor for my house and score some other Christmas presents for friends and family, but I will most likely go back to the Fair Oaks Mall location. 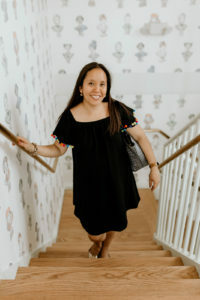 Now on to the most important part of this blog – another GIVEAWAY OPPORTUNITY!!! In the “Comments” section tell me three Christmas (holiday) presents you need to buy for the people in your life. I will randomly select a person who has commented next week and they will receive a $100 gift card to a Macy’s Backstage! Disclaimer: Macy’s Backstage graciously hosted me on this shopping trip, but all opinions are my own. I need to get pajamas, sweaters and picture frames.